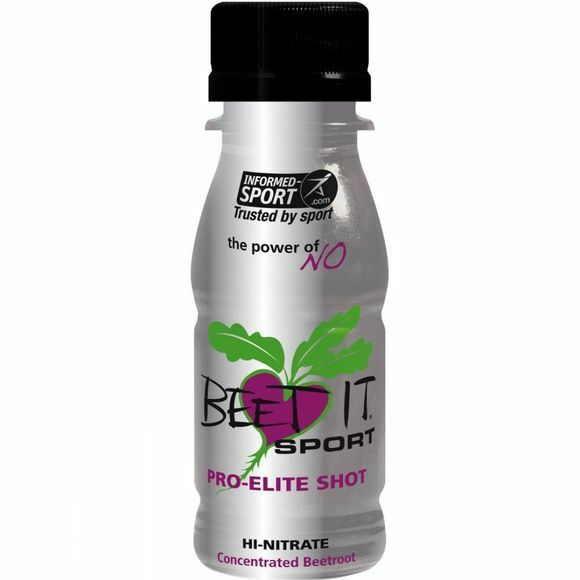 The Beet It Shot beetroot super concentrate has 400mg of dietary nitrate per serving. This product is the nitrate source of choice for elite athletes, as it gives you the maximum nitrate intake in the smallest amount of liquid. Concentrated beetroot juice (98%), lemon juice (2%).